Cassandra Fairbanks has been live reporting at the Embassy about police parked their shining a light on the embassy. She also live videoed a conversation with thise 4 police officers and asked them if they were their about Assange. Their response was to close the window on her. 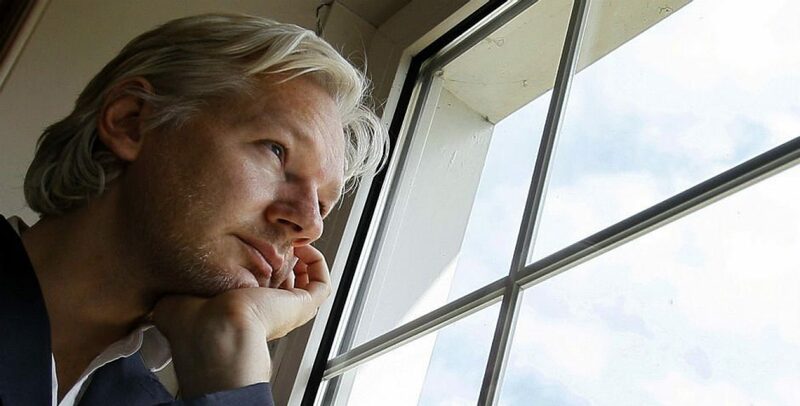 Early this morning, 4 heavily armed poloce were allowed to enter through the front door and after being aside for awhile, checked out the alley way, especially Assange’s window. A comstant barrage of police officers, clothed and unclothed, have shown their presence since Friday. Tonight things are escalating. Hopefully, it’s just a show of force by the local police department and not leading up to the expulsion of Assange. As Cassandra continues to report I will keep you notified as much as possible.